Comments: Elizabeth 'Patsy' (Johnson) Muse was the sister of Florence (Johnson) Wood and sister-in-law of John Wesley Wood of Scottsville. 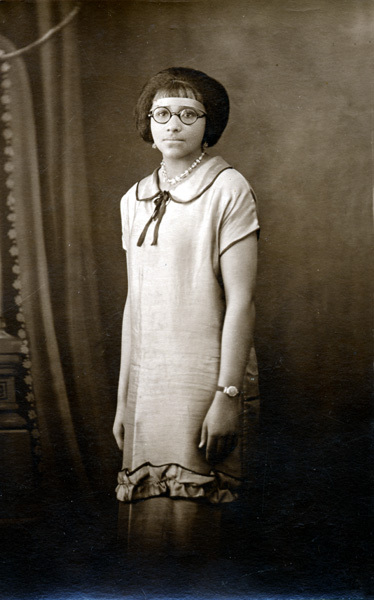 Her mother was Nannie Johnson of Mateo, Buckingham County, Virginia. This photo is part of the Dorothy Beatrice Woody collection. Dorothy resides in Scottsville and is the daughter of John Wesley and Florence (Johnson) Wood; she is the niece of Patsy (Johnson) Muse.